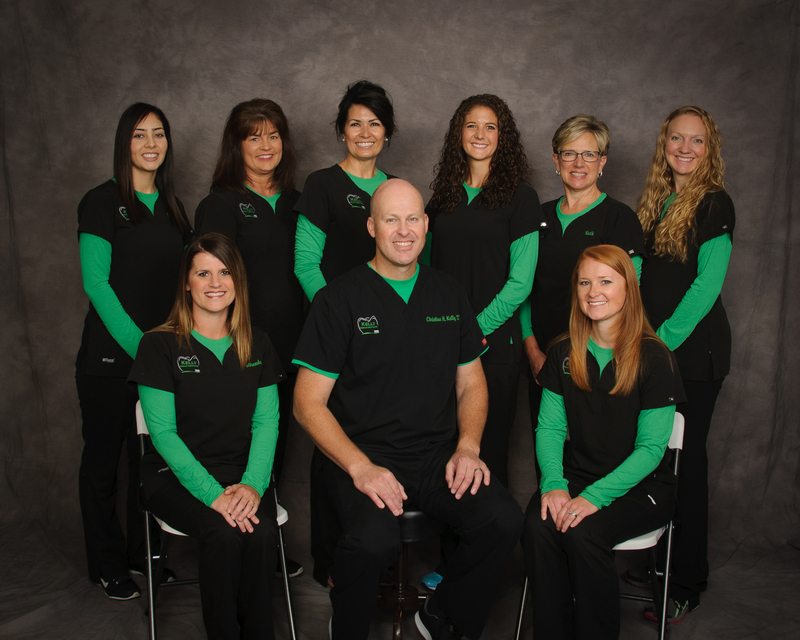 We are a dynamic team of dental professionals devoted to restoring and enhancing the natural beauty of your smile. When suggesting or providing treatment, we use a simple, time-tested standard of excellence: the Golden Rule. In other words, we treat each and every patient in the way we would want to be treated if our roles were reversed. This moves us to provide the highest quality dental care for our patients. We take into account each individual's unique medical and dental situation before recommending treatment. We make every effort to see patients with a dental emergency as soon as possible to ensure their comfort and well-being. Our philosophy is that the less dentistry we need to do for you, the better. We all start out with teeth that are decay-free, and our goal is to help educate you and assist you in keeping your mouth healthy. Our hygienists are passionate about helping you maintain your teeth and gums in optimal health. Doing so not only ensures a nice smile; medical research is discovering growing evidence that your body's overall health is linked to your oral health in many ways. Besides helping you with regular cleanings, we can place preventive dental sealants in cavity-prone areas. Mouthguards are also an important investment for athletes, as well as for those who grind their teeth at night. Beyond being focused on the beauty of your smile, we are anxious to help you attain optimal oral health. Infection control in our office is of the utmost importance to us. To protect our patients and ourselves, we maintain strict sterilization processes to prevent cross-contamination using standards recommended by the American Dental Association (ADA), the Occupational Safety and Health Administration (OSHA), and the Centers for Disease Control and Prevention (CDC). Please know that we take our position as your dental health professionals very seriously. A combination of formal education and years of practical experience enables us to provide the care you need to keep your smile healthy. We are also dedicated to taking as much continuing education as practically possible. Our memberships in various professional dental associations help us stay up to date on the latest breakthroughs and recommendations in our profession. We network and collaborate with other outstanding clinicians throughout the region and the nation in order to stay abreast of cutting-edge techniques and technology. We think you'll be impressed with how we've blended state-of-the-art dental care with outstanding customer service. We love being told by new patients that their first appointment with us was the best dental experience they've ever had. For those patients who are apprehensive about dental care, rest assured that we strive to be kind, understanding, and gentle in all that we do. Our goal is that you not only love the finished product that you see in the mirror at the end of your appointment, but that the journey be enjoyable as well. Our office mantra is to treat each and every patient like family. You will not feel like a number at Kelly Family Dentistry. Your smile is always personal to us! Call today. . . we’ll get you in right away!